The ECG app is now available for the Apple Watch Series 4 in the U.S. The Apple Watch Series 4 was the most exciting smartwatch from the company in a number of ways, but perhaps the biggest highlight of the announcement was the ECG feature. 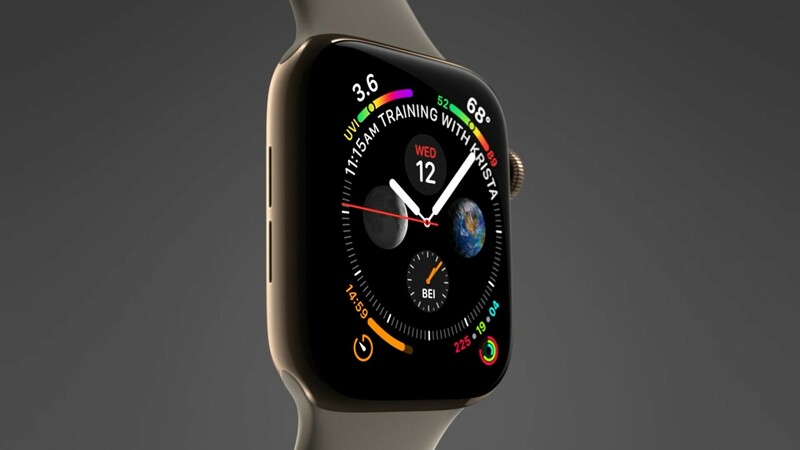 Apple said its smartwatch would be the first over-the-counter ECG test users can buy and take at any time, but the feature didn't make its debut alongside the device when it launched. 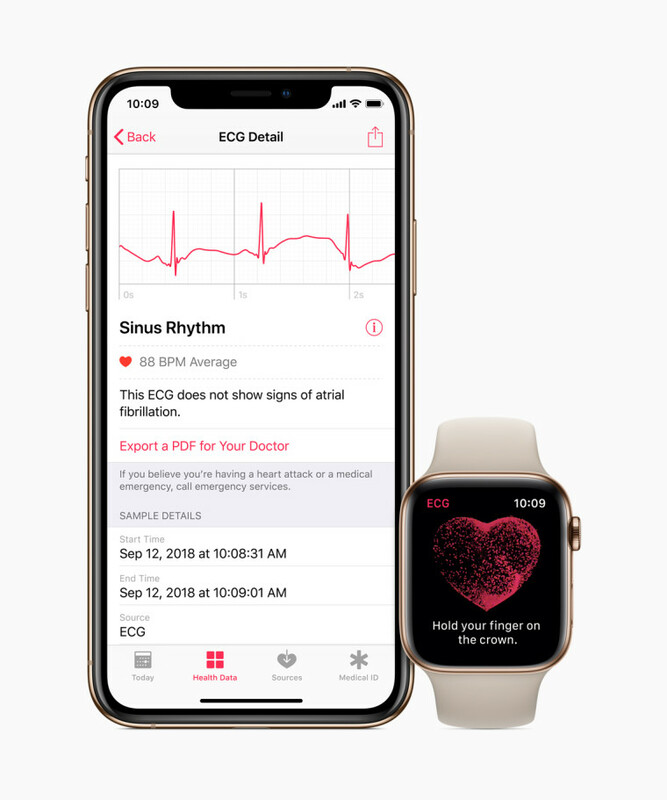 Today, Apple is rolling out watchOS 5.1.2, and it finally brings support for the ECG feature on the latest generation of the Watch. It also enables a new heart rhythm monitor, which will allow the watch to occasionally check the user's heart rate to detect signs of atrial fibrillation (AFib). AFib is one of the leading conditions that leads to strokes, which are the second most common cause of death globally, so this is one of those features that truly could save someone's life. To take an electrocardiogram, customers can use the new ECG app, which conducts the test using the sensors on the back of the Watch as well as on the digital crown. Users simply place their finger on the crown, and the watch will measure the electric signals in their heart rate over a period of 30 seconds, after which the heart rhythm is classified as either AFib, sinus rhythm or inconclusive. That data can then be accessed through the Health app on the iPhone, or exported as a PDF file to show your doctor. Even if you don't have the latest Apple Watch, you'll be getting a new health feature today. If you have a Series 1 model - which, keep in mind, isn't the first generation of the smartwatch - or newer, the heart rate sensor will now periodically check your heart rhythm. While it won't be as accurate as the ECG, these measurements can also detect signs of AFib and let you know if you should be worried. To minimize misreadings, the Apple Watch won't send a notification unless it detects anomalies in five rhythm checks over a period of 65 minutes or more. If you have an Apple Watch, you might want to get your update to watchOS 5.1.2 as soon as possible to get the new features. Keep in mind that both of these features are only available in the United States, at least for the time being. Once the update is installed, the watch will guide you through them.